We provide an academic environment where pupils can strive for success in all areas of the curriculum, have a love of learning, and high levels of intrinsic motivation. Our broad and balanced curriculum allows pupils to develop their knowledge and understanding alongside key ‘Stroud Spirit’ skills such as ‘Independence’ and ‘Collaboration’. We introduce pupils to learning opportunities that not only challenge them academically, but promote underlying learning habits that will support them for years to come. 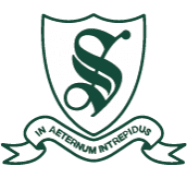 Stroud offers a range of scholarships for pupils who move in to Years 7 and 8 as well as a number of external bursaries. Successful scholars take part in various enrichment activities throughout their time in Senior School. Individual learning needs are supported by the Learning Support Department, where staff liaise closely with class teachers and parents to ensure that all children are given the opportunity to succeed. The day-to-day curriculum is enriched through trips and whole school events such as ‘Languages Day’ and ‘STEAM week’ where pupils take part in themed activities that provide inspiration and encourage collaboration. There are regular opportunities for Stroud pupils to take part in academic enrichment initiatives in partnership with King Edwards VI School. These include Stroud’s Creative Writing Competition and King Edward’s Science Roadshow and Art Exhibition. 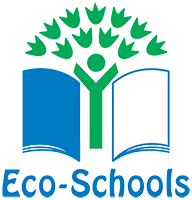 Throughout the school parents are very much involved, and are encouraged to take part in and support as many school activities as possible. There are regular evenings set aside for parents to discuss pupils’ progress with members of staff. At the start of each year we welcome parents to attend a presentation which outlines the curriculum for the forthcoming year.